Code snippets are meant as small region of reusable code. Which allow you to use intellisense to insert set of code N number of times. Below are the content you will cover in lecture. Using code snippets can save a lot of time and effort. Also help in distributing common standard code among team. In WPF we don't have keypress event, generally people used keypress event in windows forms application to validate text input. Now in this example I have showed how you can validate input from textbox using PreviewTextInput event. In this example I validated input to accept float values, you can use this to validate integer or any other number type validation. In this article I have focused on practical aspect more, and also I have not included basic practices as you can learn them from any article available online. I have tried to cover basic practices which will minimize your coding effort as well as it will make your code more manageable and also will reduce run time exceptions. 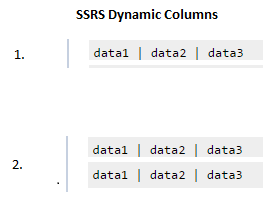 Generating Row Number in SSIS for each record. Steps for Generating Row Numbers are: Click to Download Project.